The Allen Co's universal Broadhead Wrench has a multi-groove opening that accommodates 3, 4, and 5 blade fixed blade broadheads. Easily tighten and remove your broadheads without cutting your fingertips. Compact and easy to use, this is a must-have for your broadhead box or bow case. The Allen Co &apos;s universal Broadhead Wrench has a multi-groove opening that accommodates 3, 4, and 5 blade fixed blade broadheads. Easily tighten and remove your broadheads without cutting your fingertips. 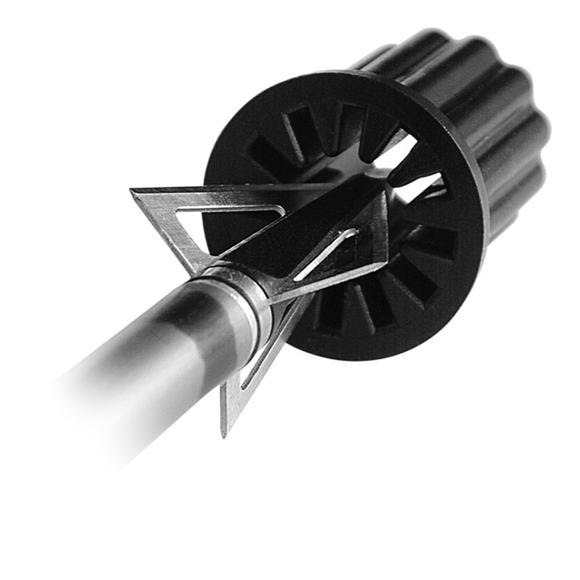 Compact and easy to use, this is a must-have for your broadhead box or bow case. Measurements 3.75" x 4" x 1.25"